FREE Movie Day! 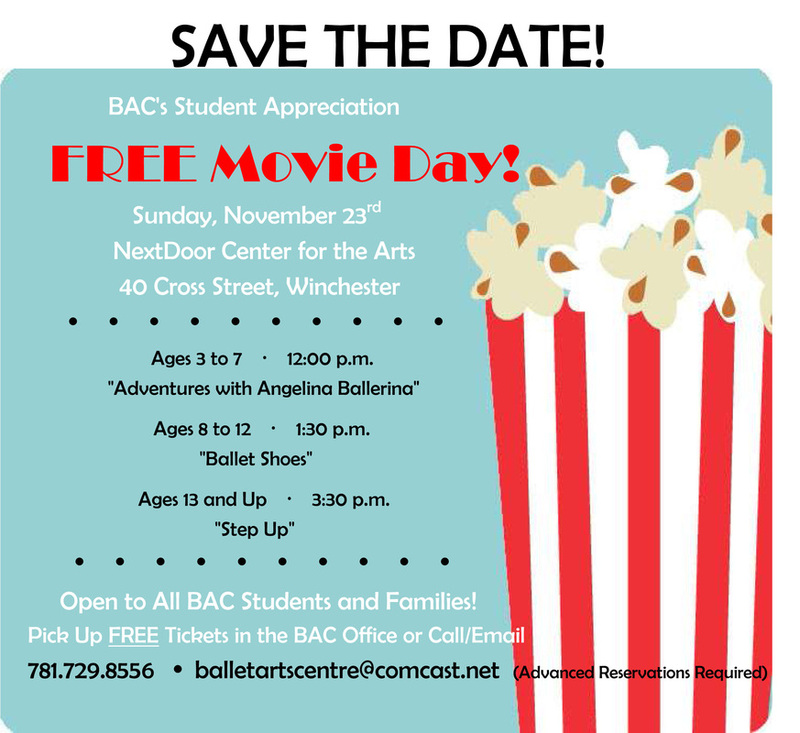 - Ballet Arts Centre of Winchester, Inc.
FREE Student Appreciation Movie Day! Tickets are free but must be reserved in advance. Come to the BAC office to pick up tickets, call 781.729.8556 to reserve by phone, or send an email request to balletartscentre@comcast.net. We hope to see everyone there!